The first living thing I planted is a stem cutting from a “Camote”(sweet potato). My mother uses the shoot tips for her fish stew. I observe her while she’s preparing the food, when my child-like curiosity made me ask her how the vegetable is grown? What happened next, she picked and handed me one cutting from the waste box and there I was, 3 years old, planting my first farm of potato in a pot. I would visit my new potted friend each morning patiently waiting for any sign of life from the stem partly covered with earth. I can still recall my surprise one morning finding some changes during my regular check. It was magical to my young eyes seeing tiny greens sprouting from a seem lifeless piece of stem. The sprig grew long with the passing of day, as new leaves replaced the pared parts my mother used for her stew. The progress are exciting source of story I told my sibling everytime they arrive from school. I have learned from them later on that the steamed“camote” (sweet potato) we ate for snacks are “over-grown” roots of the plant. My curiousity of the leaves waned as I become more interested with the roots, observing the soil closely, digging its roots to check for any growth thinking of the sweetest potato produce from my potted farm. My childhood curiosity killed my first plant – that same curiosity that once breath life to it. I woke up one morning finding my wilted plant, and no amount of water can bring it back to life – or perhaps I over watered it – and for the first time, I grieved for the first living thing I lost. “You have touched its roots prematurely,” my mother told me. I know better about plants since then.. This is where my love for plants started. The garden brings back beautiful childhood memories. The passion remains in me to these days, the roots has grown deep in me. 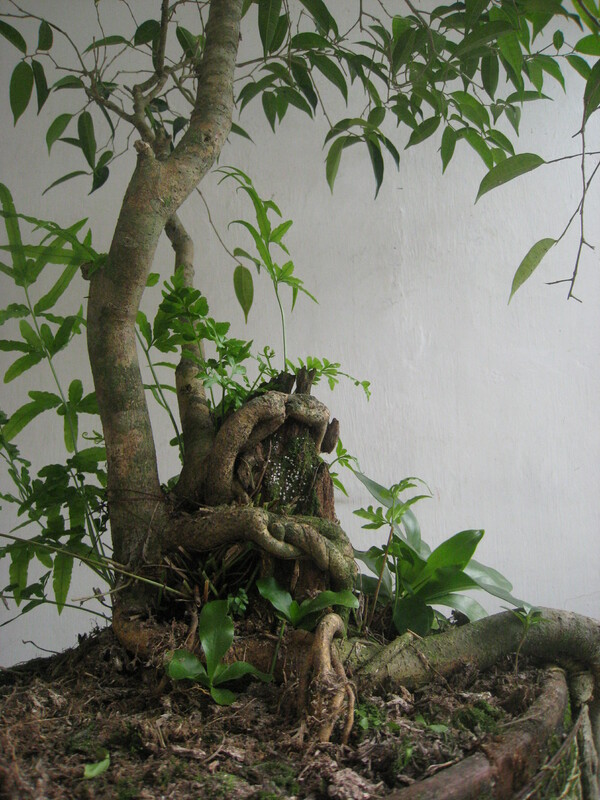 I have to mention that at thirteen, I planted my first bonsai tree, I gave it a name: Ethan. I am 35 now, which makes Ethan my 22-year old potted friend. My story with Ethan is still on going. It is crazy, but I miss my plants back home. Ethan, my 22-year-old bonsai. I’ll write about him next time.